Join Jonathan McReynolds for “The Life Room” experience, when the GRAMMY® nominated and Dove Award-winning chart-topper hosts his first live recording in his native Chicago on Friday May 5th, 2017. Taking place at Cinespace (Stage 18), tickets have been selling fast via www.jonathanmcreynolds.com/tickets, at the “No Gray”, “Gotta Have You”, and “The Elihu Experience” levels, with “The Elihu Experience” benefiting his nonprofit foundation Elihu Nation. Following his hit full-length albums Life Music, the GRAMMY® nominated #1 album Life Music: Stage Two, and Sessions-EP digital release – which include beloved hits such as “No Gray”, “Lovin’ Me”, “Gotta Have You”, “Whole” (feat. India.Arie), and the award-winning track “The Way That You Love Me” – McReynolds has continued to garner a wave of buzz from musical peers, critics, and an ever-growing swell of fans across the world praising his versatility of talents and fresh style in his live performances and songwriting. 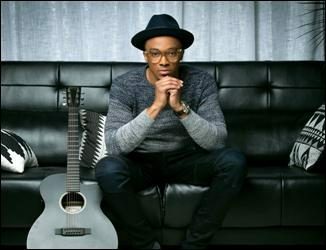 Much anticipation has been building for his next album, as Jonathan McReynolds records new music before a live crowd, giving an early look in “The Life Room”. Make yourselves at home with Jonathan McReynolds for a life-affirming special night of live music and inspiration, at his live recording at Cinespace in Chicago on Friday May 5th, 2017. McReynolds will also moderate the “Up Close & Personal” preview event celebrating the 2017 Chicago Gospel Music Festival, presented in partnership with The Recording Academy® Chicago Chapter, taking place on Thursday May 4th, 2017, 6:30 pm at the Chicago Cultural Center.